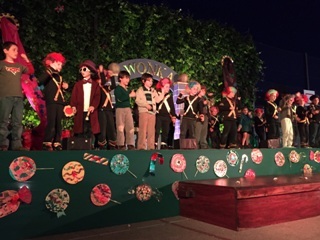 On September 29th and 30th, our community enjoyed two delightful performances of Charlie and the Chocolate Factory in spite of the rain which prevented students from rehearsing all together but finally stopped miraculously for the two shows to be held. 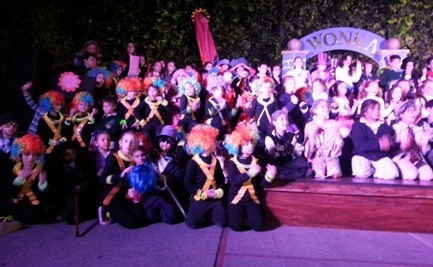 The first to fourth grade pupils, led by Miss Domi and Miss Luz, performed magically. 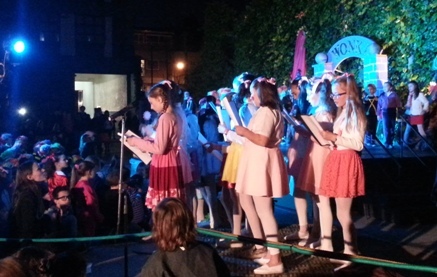 They danced, sang and said their lines beautifully, enjoying every minute in a relaxed and natural manner. The choir, formed by some 5th and 6th grade students, delighted us with their songs, their constant enthusiasm and their great cheerfulness. Once again the cold playground was filled with warmth and excitement, showing what we can achieve when the whole community works together with a single goal. Congratulations to all those who did their very best to make this possible! <h3 style="\\&quot;text-align:" center;\\"=""> "In the end, Charlie Bucket won a chocolate factory. But Willy Wonka had something even better, a family. And one thing was absolutely certain - life had never been sweeter."